Mustafa Alsagheer sold his most prized possession to save his daughter’s life. But as the health care bills mounted, his family’s livelihood was left hanging in the balance. This is the story about how Mustafa’s family found their way back—thanks to ZeroHunger Heroes like you who are helping the World Food Programme (WFP) save and change lives. Long before this emotional crossroads, Mustafa’s love of music inspired him to form a band called Salateen Al Tarab. 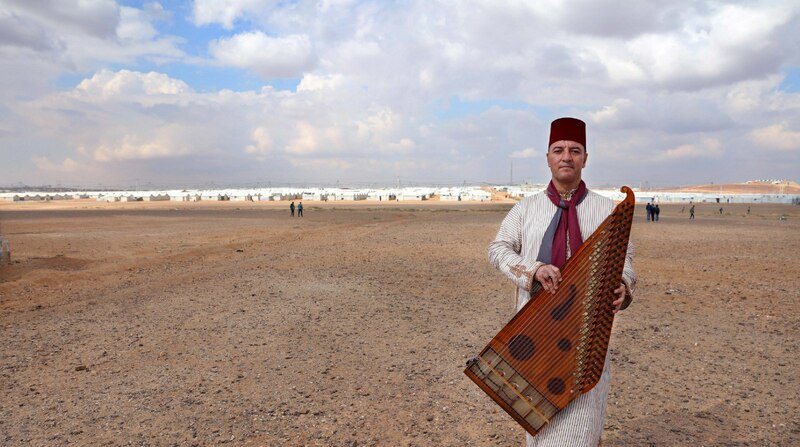 The 47-year-old Syrian musician and his bandmates traveled across the Middle East as well as internationally to Germany, Canada and the United States to perform their music. But when the war in Syria broke out, the music stopped. To make matters worse, after finding in refuge in Jordan, Mustafa’s family received devastating news: his teenage daughter Sara was diagnosed with cancer. 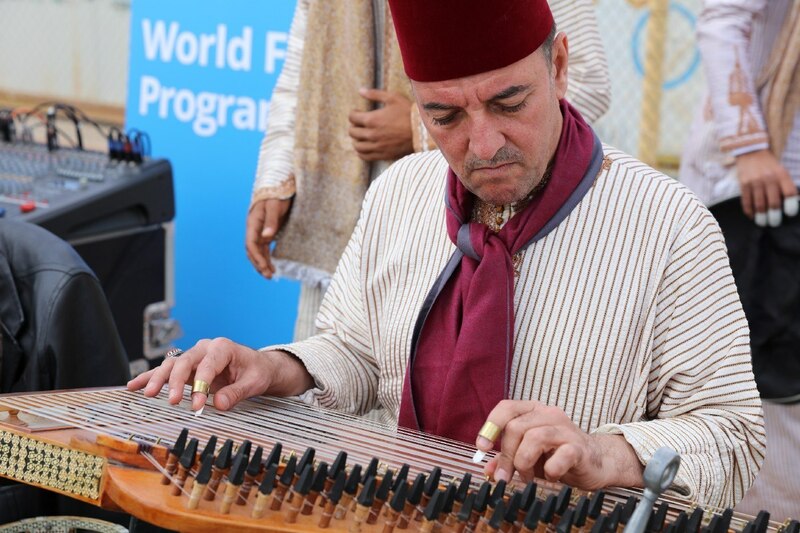 He sold his prized qanun, a string instrument similar to a harp, to help pay for her lifesaving surgery. Sara got the treatment she needed and made a full recovery. But the sheer cost pushed his family to the edge with very little means to make ends meet. That’s where ZeroHunger Heroes like you came in. Support from WFP provided a much needed boost for the family. Every month, each member of Mustafa’s family receives $32 on an electronic card to buy food. Through WFP’s ‘choice’ program, they can use their e-card to buy food directly from local shops, to withdraw cash from an ATM or both. It’s the kind of flexibility that helps them purchase high quality, fresh foods at the best prices. After Sara’s recovery, Mustafa saved enough money to buy a new qanun. Although it isn’t his original antique, it still allows him to continue his passion of spreading joy and peace through music. Mustafa started a new band in Jordan also named Salateen Al Tarab in honor of his original band from Syria. The band includes both Syrian refugee and Jordanian musicians and has built a sense of community and friendship among them. 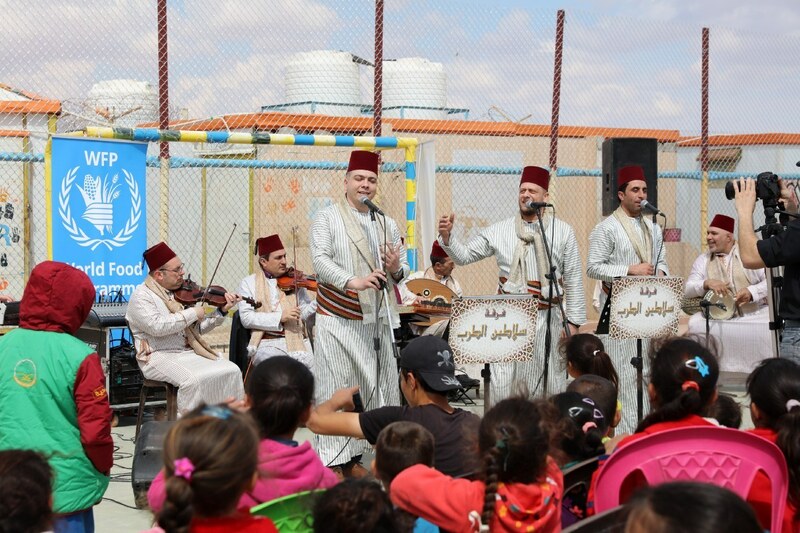 They perform at events in refugee camps and in Jordanian cities trying to spread their message of peace through their lyrics. 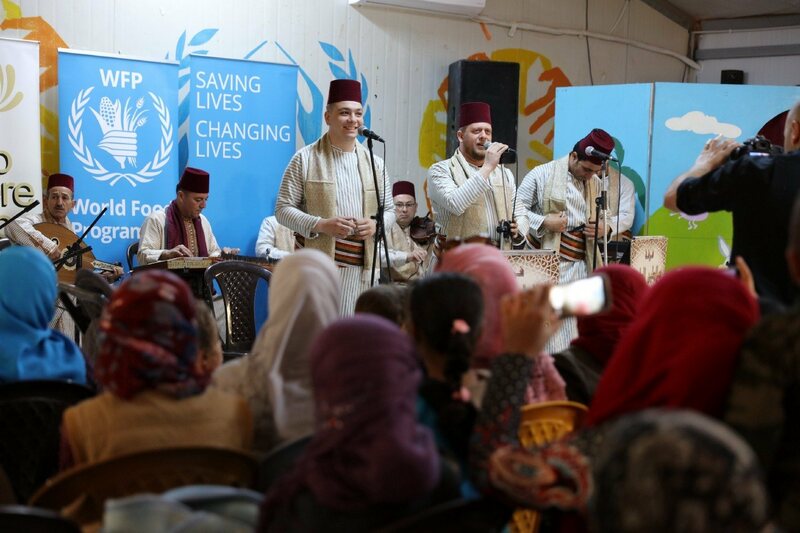 “When we perform to those who have been affected by conflicts, we aim to take them on a journey sharing their heritage of music and to make them feel that life is a gift and bring them happiness,” Mustafa said. We at WFP USA are in it for the long haul. With you by our side, we’ll make sure food helps every human being like Mustafa reach their potential.